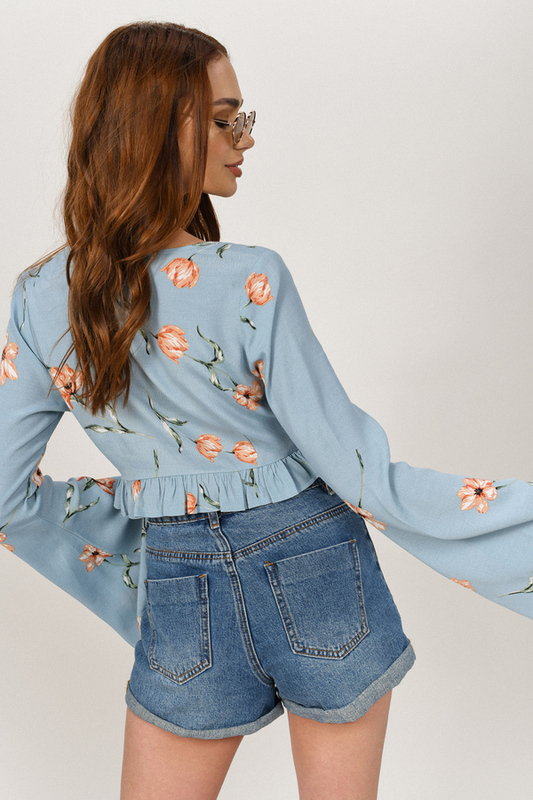 Check out Tobi's Paige Long Sleeve Crop Top Calling all frill seekers: the Blue Multi Paige Long Sleeve Crop top is a floral print beauty with a frill hem to add a flirty touch to daytime festivities. With a v neckline and lace up fastening to the front, this bell sleeve blouse pairs perfectly with the matching shorts to make a pretty floral crop top and shorts set. Calling all frill seekers: the Blue Multi Paige Long Sleeve Crop top is a floral print beauty with a frill hem to add a flirty touch to daytime festivities. 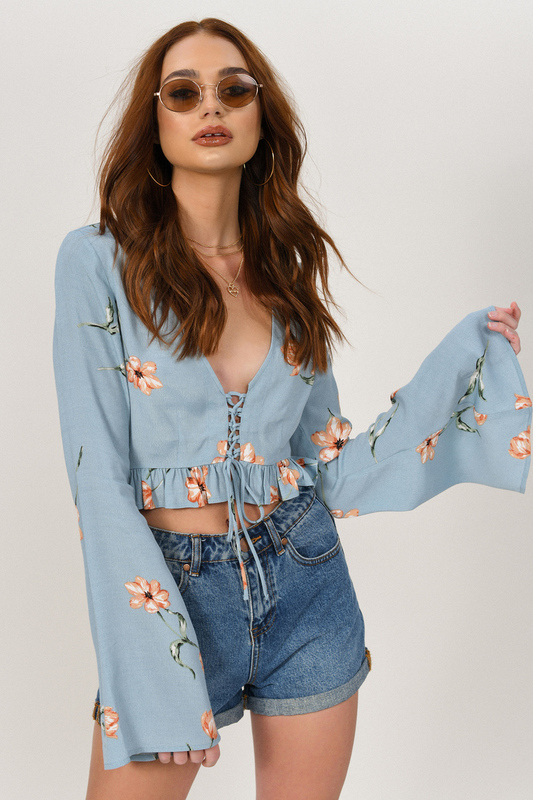 With a v neckline and lace up fastening to the front, this bell sleeve blouse pairs perfectly with the matching shorts to make a pretty floral crop top and shorts set.